An exhaustive, compulsively readable account of how the computer and the internet came to be. If you’re looking for a comprehensive account of how some of the 21st century’s most important technical inventions came to be, this is it. It is long, at just under 500 pages, but is well paced and fascinating throghout. 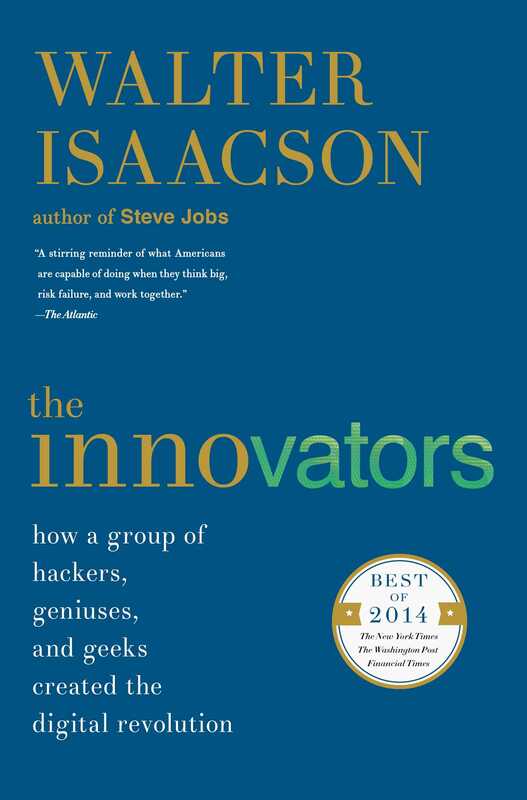 Isaacson, who’s written acclaimed biographies of Steve Jobs, Ben Franklin and more, does an excellent job synthesizing what is fairly complex engineering material into a wide-ranging look at how innovations occured and — most important — what drove the men and women behind them. An over-arching theme is that innovation is a group effort. Forget the idea of solo inventors toiling away in labs. Big breakthroughs happen via team efforts, often when engineers are paired with visionaries. In workspaces, physical proximity is important so that workers can share ideas. The transistor was to the digital age what the steam engine was to the industrial age. Vacuum tubes led to transistsors, which led to semiconductors and then microchips. A group of men from a more traditional semiconductor company on the east coast headed west what is now known, yes, as Silicon Valley, to start their own operations (or startup). Their style was much more laid back, with unconventional work practices, a culture that prevails today. Venture capital began as rich East coast families began backing west coast startups. As most people know, government spending has always propelled the U.S. tech industry. A government project that started as a way for universities to share computing power, orginally begun as a government funded initiative to provide a secure means of communication in the event of a nuclear attack, became the internet. In 1969 alone, that project began, NASA put a man on the moon, and microprocessors emerged. The internet expanded in the 1970s and 1980s, but it didn’t hit a critical mass commercially until Sept. 1993. Bill Gates and Paul Allen created the software industry.